Fred Saghbini is known for his business acumen and his ability to incorporate innovative solutions to achieve business outcomes. Fred brings over 26 years of industry and federal government experience along with an enviable track record of successfully delivering complex IM/IT projects, business transformation initiatives and eCommerce solutions. Fred’s expertise includes the areas of project portfolio and program management, organizational change management and management consulting. Fred has held executive level positions at prominent organizations, including Vice President of Technology for Canada Post International Limited, Program Director of eBusiness for Canada Post Corporation, Vice President of Client Delivery for Provance Technologies, Director of Project Delivery for PWGSC and Director of Employment Insurance Business Solutions at HRSDC. 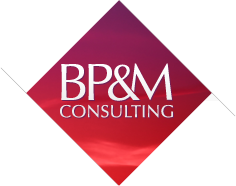 As a consultant Fred has helped many federal and private sector clients to develop and implement large scale complex IM/IT projects and business solutions, achieve enterprise transformation, implement business processes and establish departmental policies and program management frameworks in order to achieve business goals. He has extensive experience in building highly effective delivery organizations, including Project Management Offices (PMO) and Centres of Excellence (COE). He has the ability to mentor individuals and teams, build commitment and bring business and technology leaders together towards the achievement of business goals. As a member of Treasury Board’s Project Management Advisory Committee (PMAC), Chair of PWGSC’s PMAC and as an advisor to numerous PMOs across government departments, Fred has greatly influenced the maturity of project management throughout the federal government. 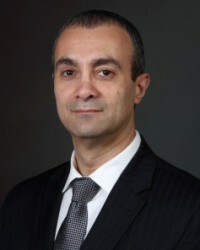 Fred graduated from the University of Waterloo with an Honours Bachelor of Mathematics degree in Computer Science and earned his MBA from the University of Ottawa, where his focus was on Marketing and Finance. Fred continued his professional development by earning numerous certificates such as his Masters Certificate in Project Management from George Washington University, leadership training from the IVEY School of Business and is certified by the Treasury Board Secretariat to conduct independent project reviews for the federal government.